Hair fall is one of the most common complaints we all have in our daily life. No matter what we do, we always end up having those few strands of hair stuck in our combs or lying on our bathroom floor. 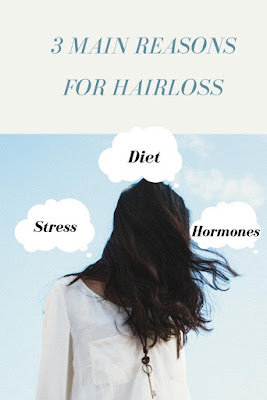 As I have mentioned in my previous post, it is normal to lose around 50-70 hair per day, yet it is typical to be concerned when you see a chunk of your hair lying around or a receding hairline on your scalp. There are many obvious causes for hair fall. But let me narrow down to 3 MAIN causes that are responsible for hair loss. Noticing hair fall everyday ??? It could still be considered normal !! Hair fall can get quite disturbing , though it is a normal part of life. It is experienced by all of us on a daily basis. I'm going to help you understand how much of hair fall is normal in a day and when should you really start to worry about it and start seeking treatments.